The playoffs are here and if you're a fan of facial hair, the postseason's got you covered. As is tradition, the NHL's best players will be growing their playoff beards out and by the time the Stanley Cup Final rolls around, the beards will be long, luscious and glorious (for the most part). 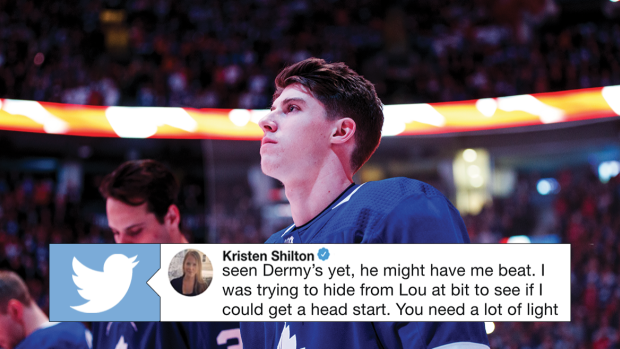 Not all players can grow long playoff beards, though, and Mitch Marner admitted he's one of those players. He also admitted he tried to get a head start on his beard for the Leafs' playoff run. Based on the latest picture Marner posted, it looks like he indeed did get a head start on that beard. Leafs fans are hoping they'll get to see Marner grow out the beard, meaning the team will make a deep playoff run.